This kind of shjt will bring the end of YouTube. It'll end up like Myspace. @ThePandaPool , I genuinely hope so. @Thane of Deez, 5 people say dislike and everyone likes their comment. 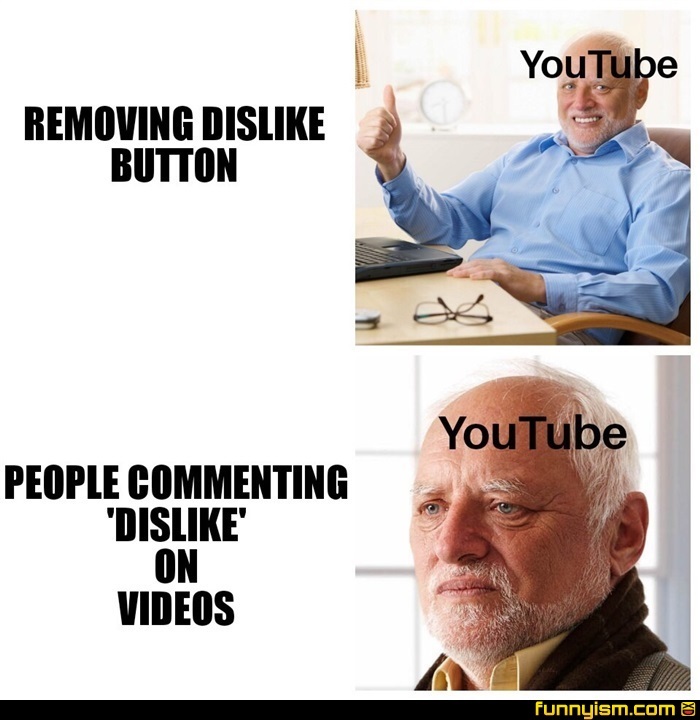 Wait, did they actually kill the dislike button? @fool for fun, I just looked and no. But maybe there's an update I haven't gotten yet. @Albino Rhino 153, they just mad because they got the most disliked video of all time.